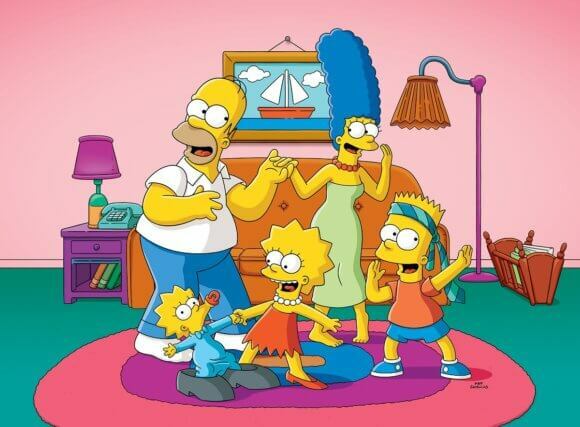 Fox has confirmed The Simpsons will return for seasons 31 and 32. The history-making animated series is still going strong, with the current season averaging 4.8 million viewers. The half-hour comedy is the longest-running primetime scripted show in history and ranks in the top five comedies among all adults ages 18 to 49. “Woo hoo! 32 Seasons! Watch your back Meet the Press,” said Homer Simpson. The critically acclaimed series has a reputation for predicting the future, including presidential elections (Trump), tragedies (9/11), and major sporting events including multiple Super Bowls. In a recent interview with the New York Times, writer/showrunner Al Jean explained his take on why the series gets so many key events right so far in advance. “When that many smart people produce a television show, it’s bound to make some startling ‘predictions,’” said Jean. Al Jean also serves as an executive producer along with James L. Brooks and Matt Groening. The series is a Gracie Films Production. Upcoming guest voices on season 30 include Netflix’s Ted Sarandos, Awkwafina, Judy Blume, Ken Burns, Nicole Byer, Guillermo del Toro, Will Forte, Ken Jeong, John Lithgow, Dave Matthews and J.K. Simmons. “The longest-running primetime scripted show in television history, The Simpsons exploded into a cultural phenomenon in 1990 and has remained one of the most groundbreaking and innovative entertainment franchises, recognizable throughout the world. Currently airing its historic 30th season, The Simpsons has won 33 Emmy Awards, 34 Annie Awards, a 2016 People’s Choice Award and a 2016 Environmental Media Award.